other ceremonial and magical uses. 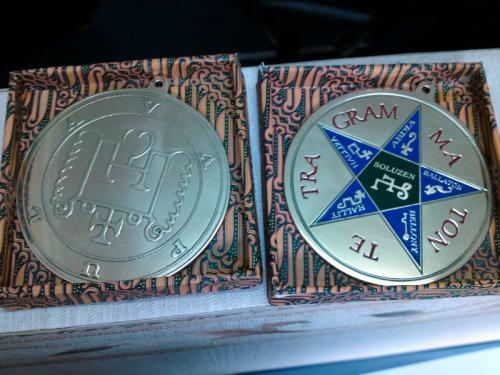 Available Metals Discs/Medallion: Copper or Tin. Diameter: up to 5 inches. 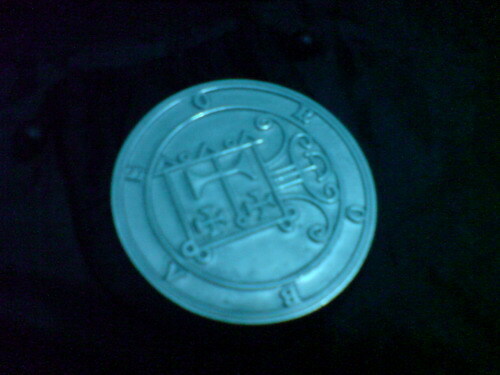 Suggested diameter for goetia sigil = 3 inches. - Delivery: 10 days max. - flat cost of $50 each (of any metal offered) including Shipping & Handling anywhere in the world. - add $20 if you'd like to emboss your COPPER disk on both sides. Tin cannot be embossed on both sides. >>> Note, those above are original 2006 prices, but prices has been rising ever since till now in 2013. 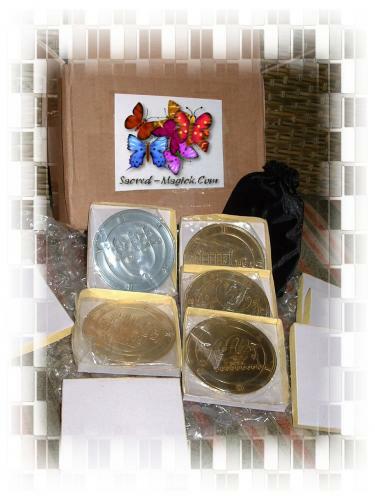 I will have to add $35 international courier fee for any orders up to 5 seals. 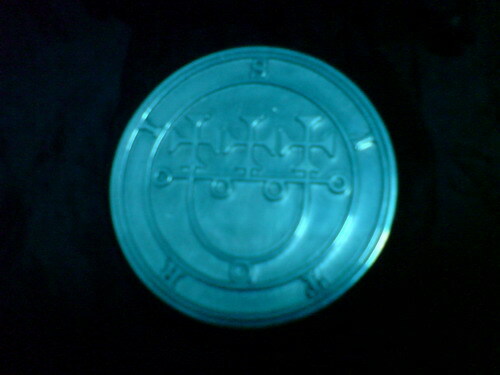 - Send me (PM or email [email protected]) your order information including any specific specs of sigil disks you want to order, including images of the seals if you have it. 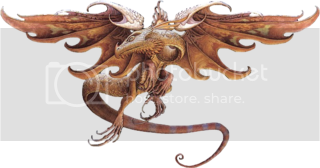 Send me an image (.jpg,.jpeg,.gif) of the design. 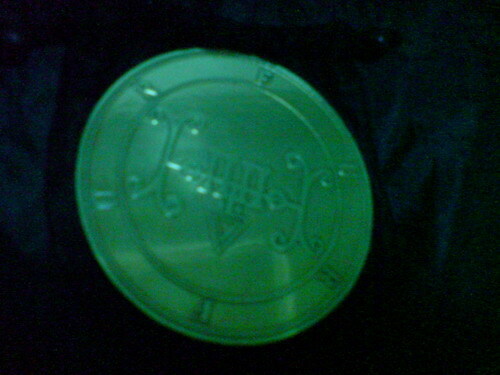 I can make exact design of sigils from any grimoire or custom design to be embossed on metal disks of up to 5 inches. Every finished 3 inches disks comes with a free black raw silk custom pouch (while stock lasts). This package of seals will be shipped out by FEDEX to Randolph795 tommorow. That's the first sales for these items! Anyone else? btw, I'm leaving aluminium out, offering Tin and Copper seals only. Having today received these they are, quite simply, the finest products I have purchased in the 29 years in which I have been actively involved in the field. Not only was the workmanship of the highest quality, but I received the finest customer service imaginable. These now set the standard against which all others will be measured (and I sincerely doubt there is anyone else out there who could even remotely come close). If you are like me, you may be constrained by manual dexterity and artistic ability in creating high-quality ritual objects. While some commentators argue that a self-crafted object is intrinsically superior, I have found that items that are not completely pleasing on an aesthetic level detract from the success of the operation. Appropriate consecration can forge a personal link with something that is purchased particularly where, as here, it is specially obtained and of such a high quality. 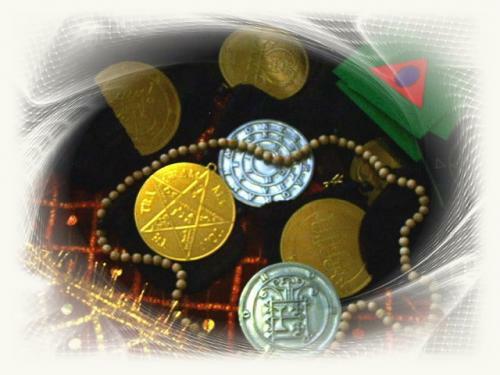 If you are engaged in serious work with entities, whether they have traditional seals or are the product of your own sigilization process, you are doing yourself (and the entity) a great disservice if you do not avail yourself of this resource. If it is not a carefully guarded secret, Kinjo, I'm interested to know what method you use to create such exquisite talismans. My compliments on your craftsmanship. 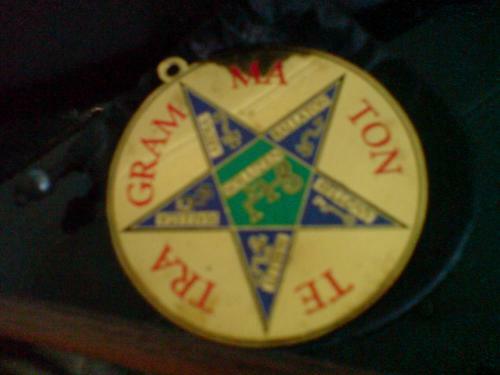 I've been toying with the idea of creating my own talismans like this - not that there is anything inherently worisome about buying talismans, but I find the exacting task of creating my own talismans and tools to be a suitable ritual for the commencement of the magick involved, outside of any additional ritual. However, so far I have only had the space and resources to work with wood, leather, parchment, etc. I'd like to work with metal, but am not really sure if I have the sort of space to work with it. Thank you for such a kind comment Frater P.O. (IMG:style_emoticons/default/smile.gif) I hope the seals will serve it's purpose. 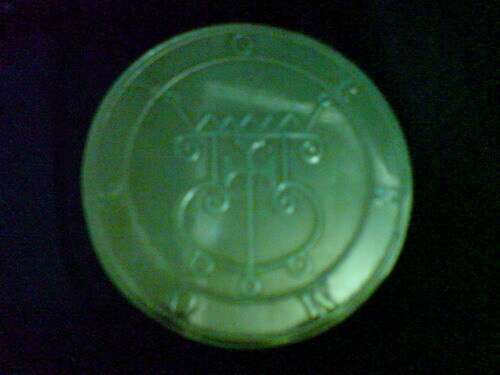 how much does a sigil of sitri costs? - add $20 if you'd like to emboss your disk on both sides. - Orders of more than 5 seals gets a total of 10% discounts. Let me know if you need any information I can help with. 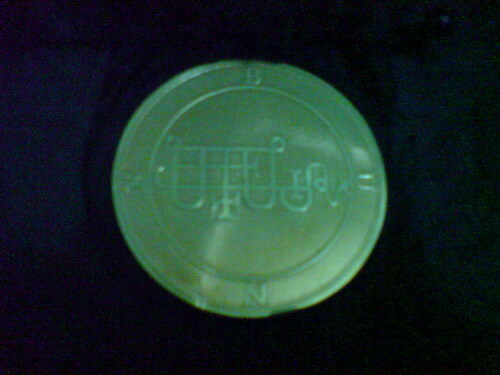 sorry, i am a little noob about the price stuff:P so a sigil of him to portugal would cost $50 rigth? 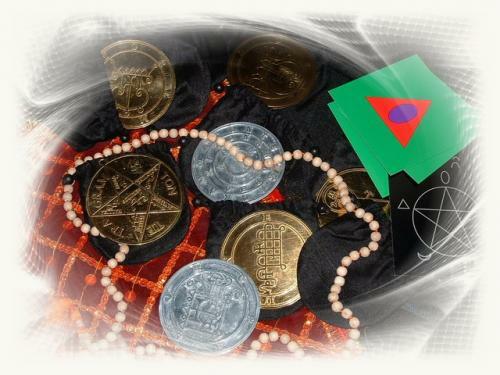 It will cost you at least $100 for a sigil disk of Sitri and another disk of your choice because there is a minimum order of 2 disk or $100++ order. Please PM me if you have more questions. Are you still selling these seals? Yes I am still selling it. Feel free to PM me. sorry, poor lightning and I'm no photographer. The original looks and feels way a lot better than pictured. Would it be possible to smelt both Copper and Tin wherever you are, so you can make a bronze stock disk to use? Just curiosity. would you be able to create some with the specific instruction of it never hitting the light of day? I mean, more simple put, would you be able to work at night during certain times while making these so that they are exact? Unfortunately no. Only sold as advertised here. 1. Can I have a elemental seal made, with the backround in orange, and the signature in blue (for that flashing effect)? 2. Can I get a goetic seal with the pentagram of solomon on the back? Or are the seals tough enough to handle engraving? 3. Can I get them with an eyehole for using them as a necklace? 4. Is it possible to have the seals sent through estafeta (I believe they are associated with DHL)? I know that service is available in the US, but I don't know if it is where you live. Ahora disponible en Español, con servicios mas baratos para los Mexicanos. Yes, please add $20 = $70/seal for back and front engraving. Yes. See picture at No.1 above. I'm not familiar with estafeta, so I'll say no (IMG:style_emoticons/default/smile.gif) Generally depending where you are, you will receive your seals in about 7 working days after you complete your payment. The reason I ask about the estafeta thing (I saw that in the post office in texas last time I went there) is because it usually takes me over a month to get anything through the mail, and estafeta takes between 2-7 days anywhere in the world. 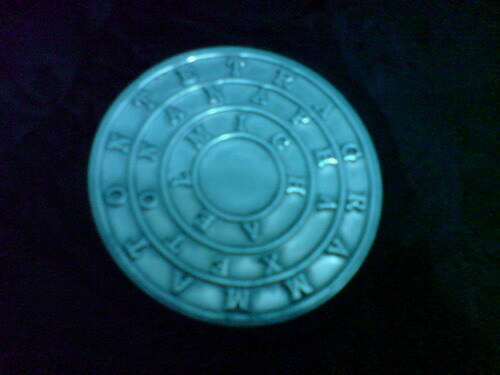 Any kind of disk, square, or rounded disk in tin or cooper with ANY design, we can make it. We reproduce exact copy if you have a design that we can print out to model for the reproduction. That means we can produce ANY designs of magical squares, seals and sigils and whatever else you have in mind. 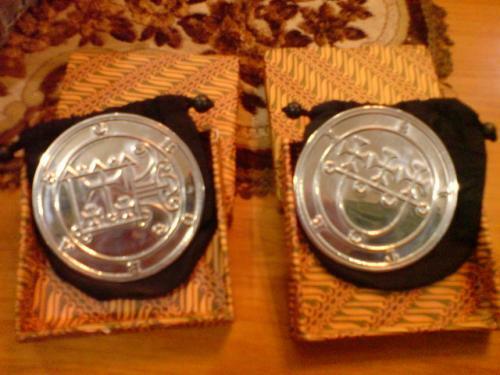 A couple of Tin seals will be sent by UPS to Columbia, USA tommorow. ETA 3 days. I am impressed,these sigils are totally accurate with very high craftsmanship. I will order something as soon as i recieve the next salary. 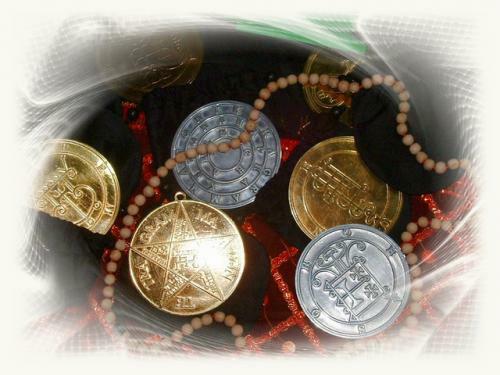 i might want to order some angelic talismans,Michael,Gabriel for example although i find it better to have the four primary Archangel ,Raphael,Gabriel,Michael,Uriel,what is the best substance should they be made of.? 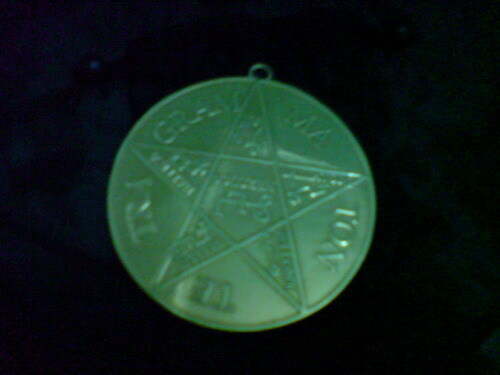 I been working with the Ars Almdel and i was wondering about the Sigils of the archangels it is said it should be made of gold,but simply i cant afford it. any suggestions about the alterntives.? 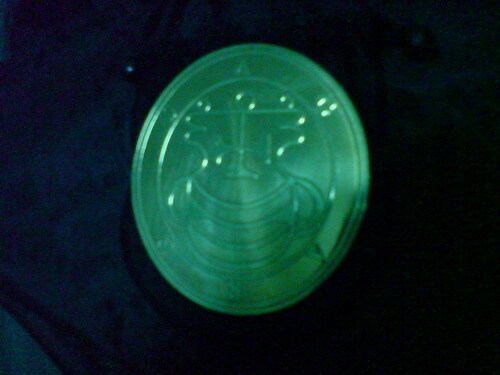 Pure gold will be out of reach for many people due to its price but I may be able offer it and a cheaper gold plated sigil seals if there is a good demand for it. What's readily available and offered here is the metal tin and copper. So the nearest alternative resembling the color of gold would be copper. 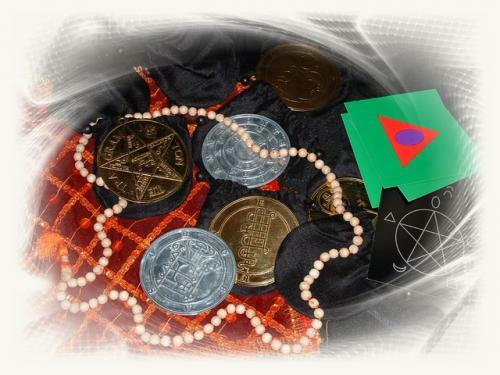 My craftsman are familiar and have crafted various goetic seals models I have in stock/ordered from this page. 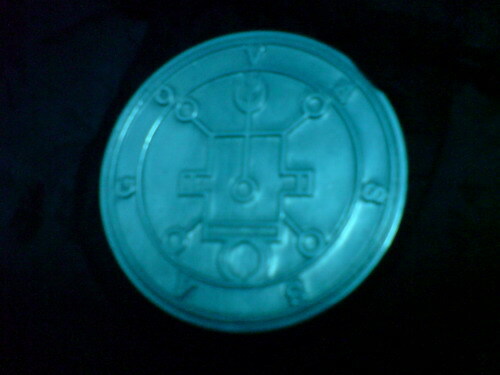 So if you're ordering other than the range of available goetia seals, please include the sigil image file I can print and hand over to him for exact sigil reproduction into your chosen metal. 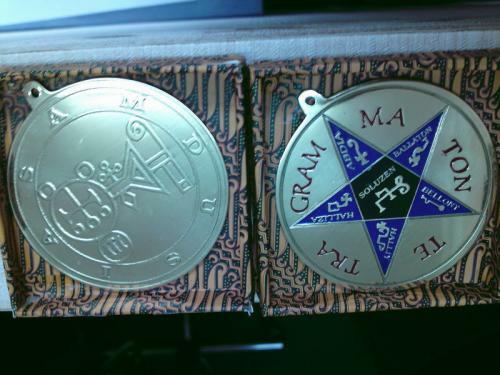 4 copper double sided and 2 single tin goetic seals has been sent by courier to Arlington USA today and should reach there in a few days. Are you still making these? I would like to request a seal I can wear as a pendant. Sorry I just noticed this. Yes, please email directly to [email protected] and include details & drawings of your order. Are you still doing this? 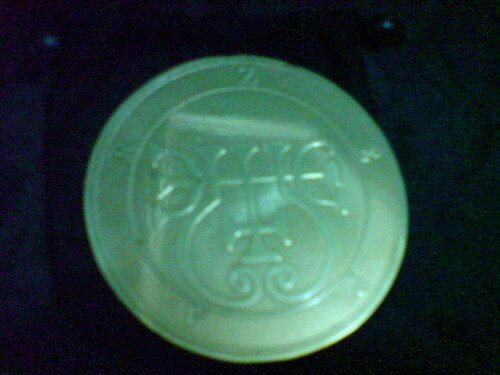 I would like to get a copper seal of Sallos. Yes, please email me directly. There's 2 seals minimum purchase.